A large number of people who want to lose those deep wrinkles and lines in the facial area are opting for non-surgical cosmetic procedures. Captique cosmetic surgery has become very popular due to its rapid implementation time and its long lasting results. With non invasive facial treatments such as Captique it has never been easier to rejuvenate the skin. Captique is a hyaluronic acid-based dermal filler that has a clear gel like appearance. The doctor injects the gel just below the surface of the skin to give volume and definition to the skin. Unlike many other dermal fillers that have been used, Captique is very soft, and the effects that can be produced give a much more natural appearance. The procedure itself should only take around 15 minutes but this will depend on the number of areas that are to be treated. The skin will then look rejuvenated as natural elements that have been lost over time are replaced. Captique is a temporary filler with results usually lasting between six and twelve months. Over time the hyaluronic acid will be absorbed into the skin so two or three additional injections throughout the year may be required. Captique cosmetic surgery is a safe and effective treatment but it is a treatment that may not be suitable for everyone. People who have skin pigmentation disorders or hypertrophic scarring may not be suitable for this form of cosmetic treatment. If you are considering this type of procedure then a consultation with the doctor will be needed to ascertain suitability. Captique can produce the best results on areas where deep facial wrinkles and lines are most prominent. Many areas of the face can be treated such as vertical lip lines, crow’s feet and smile lines. It can also have great effect when used around the folds of the nose to plump out the skin. The results will be smoother, younger looking skin, and people who have a tired looking appearance should notice the effects immediately. As with any cosmetic procedure there may be side effects. Hyaluronic acid is a natural element of the skin, and the main ingredient in Captique is a non animal type of hyaluronic acid. If side effects do occur they may take the form of redness or bruising to the skin. There may also be some swelling, and in rare cases there may be pain and itching. 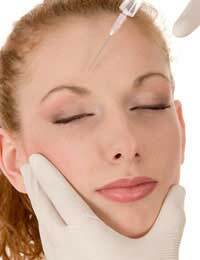 Compared to other dermal fillers, Captique has been pronounced very safe and side effects have been minimal. If you are going abroad specifically for Captique cosmetic surgery then your medical service provider will have a list of countries that perform Captique cosmetic treatments. Countries close to Britain that can supply this type of treatment include France, Spain, Sweden, Hungary and Norway. The closer the country the less flying time you will have, and it is very easy to pick up frequent, low cost flights to countries within the European Union. As with any cosmetic surgery, adhering to the advice given to you by the doctor is vital for any post treatment healing. If you are having a Captique cosmetic surgery while you are on holiday you may be required to stay out of the sun for a period of time. But as this type of treatment is very minimally invasive there should not be too much disruption to any holiday activities. Thousands of British residents go abroad each year for cosmetic surgery due to the huge price discounts available, and the professional staff and facilities. Always research your options thoroughly before signing with any medical provider. Always ask as many questions as you can if you are unsure and always ask for a consultation with the doctor before travelling abroad.